Where city meets desert, visitors find boundless outdoor recreation, a pleasing climate and culture of Wild West. It's by no accident that Mesa, Arizona has been dubbed City Limitless. 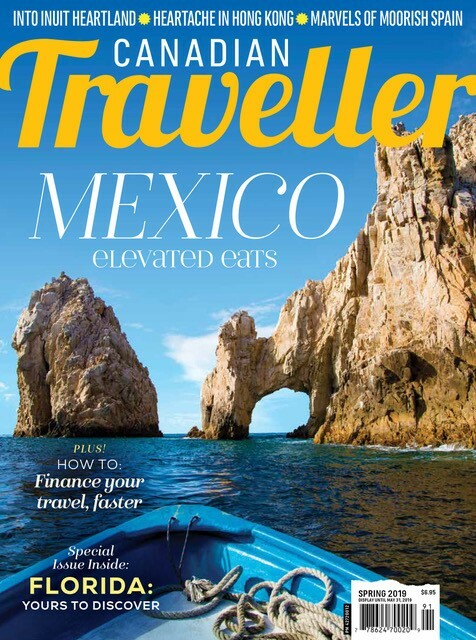 It has enough activities and events to keep travellers with even the shortest of attention spans busy. There are artist galleries and a vibrant performing arts scene for the aficionado. There are hundreds of thousands of hectares of varied desert terrain and cactus-studded forests for the outdoor adventurer. There's a burgeoning culinary scene for the foodies, and plenty of shops, ruins, breweries and museums to fill the rest of the itinerary. Tell us, what will you do in Mesa, City Limitless? The Apache Trail was once a stagecoach route running through the Superstition Mountains. It was named after the Native American tribe which frequently harassed pioneering travellers. Today, much of the trail has been paved over but it is still just as vital to the community as it was in the past. Visitors can commit a day to driving this scenic byway as it winds through 64 kilometres of rugged desert mountains. Stop off at one of the deep reservoir lakes and the many historical attractions along the way. The Dolly Steamboat is the first of two water tours beyond Mesa city limits. This classic steamboat, a replica of an American sternwheeler, plies the waters of Canyon Lake. From its deck passengers will admire the eclectic flora and fauna of the lower Sonoran Desert. Usery Mountain Regional Park's Wind Cave Trail is the most popular in Mesa. This moderate trail is 5 kilometres round trip, with a total elevation change of 243 metres. As the name suggests, the trail terminates at a cave. A steady seep of water from the roof supports wild rock daisies. This shady nook is an excellent place to take in the view or have a lunch. While the cave can be accessed year-round, the best time for roaming Canadian Travellers to hike the trail is October through April. For those who like to trace their meal to the source, the city of Mesa shares its harvest on the Fresh Foodie Trail. 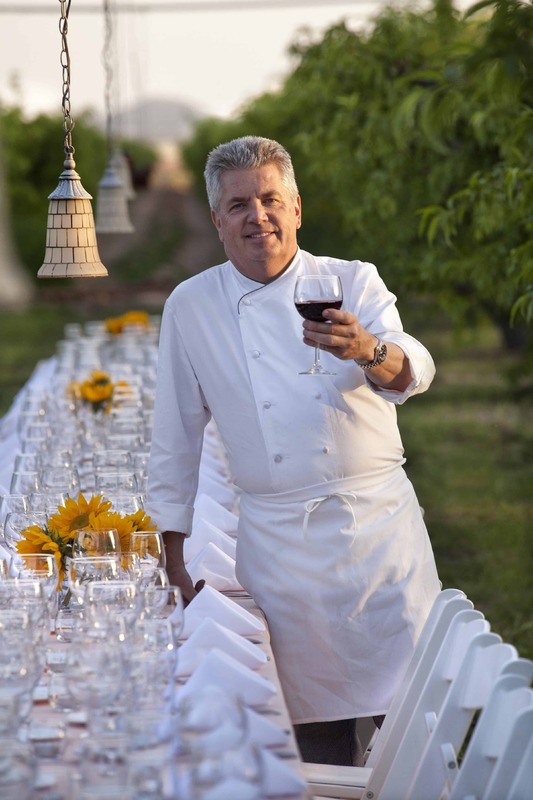 This unique program showcases regional farms, agritourism festivals, and orchard hosted dinners are found throughout. The itinerary includes the iconic Queen Creek Olive Mill (the only olive farm in Arizona), Schnepf Farms, and The Orange Patch. The trail offers diners not just farm-to-table, but in some cases, a table at the farm. Bon appétit! The Mesa Grande Ruins are historic remnants left behind from Mesa's original people, the Hohokum Native Americans. The mound found here is longer and wider than a football field and dates back to 1100 A.D. These ruins are believed to be the religious and administrative centre of what was once a sizeable Hohokum village. Visitors can tour the excavated ruins and learn more about the people who mysteriously disappeared around 1450 A.D. The Sonoran Desert may lack oceans, but that doesn't mean it's void of beaches. Butcher Jones Beach in Tonto National Forest gently slopes into the waters of Saguaro Lake. While Butcher Jones is well visited by beach-goers in the warmer months, there is plenty of sand and cool water to go around. Driving directions: From downtown Mesa drive northeast along Highway AZ 87 N for approximately 37 kilometres. Take the exit 199 for Bush Highway (a right hand turn). Continue for 4.6 km and make a left E Butcher Jones Beach. Drive for 2.9 km before reaching Butcher Jones Recreation Site. Shop the boutiques in downtown Mesa for local souvenirs and fashions. Luxury shoppers can find haute couture at Village Square at Dana Park, while familiar brands can be found at Superstition Springs Center. Bargain and antique hunters will love perusing the booths at the Mesa Marketplace & Swap Meet. Located just on the cusp of the Superstition Mountains, it is one of the largest outdoor markets in Arizona. The Mesa Marketplace & Swap meet features 900 merchants in 1,600 stalls, all packed in a square kilometre. After visitors sample artisan treats and enjoy live music in the food court they can browse the endless selection of goods. Who knows what treasures will turn up? Meanwhile, deal seeking fashionistas should make the 15 kilometre trip to Phoenix Premium Outlets. The southern sands of the American desert conjure the days of prospecting. If you're after a cowpoke experience head to Rockin' R Ranch. 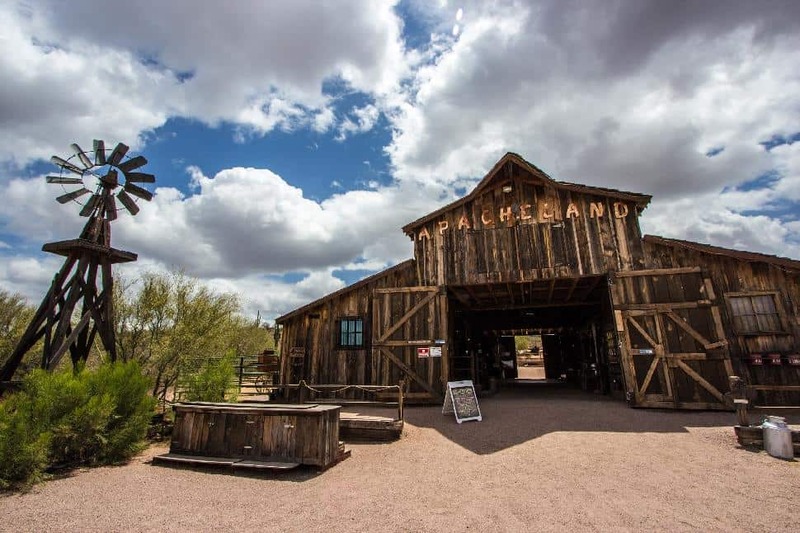 A visit to this historical Arizona horse and cattle ranch offers a look into Mesa's modern history. With staged gun fights, wagon rides, gold panning and succulent barbeques, the ranch gives visitors a taste at the rowdy days of the Wild West. Since 1956 the talented musicians of the Symphony of the Southwest have been wowing audiences with their harmonics. Not only does this orchestra play classics the likes of Bach and Mozart, but they also feature contemporary performances to appeal to today's younger audiences. Did you know that Forbes named Mesa one of the top 10 cities for cyclists? More than 64 kilometres of cycling trails wind throughout the city, which are enjoyed by residents and visitors alike. 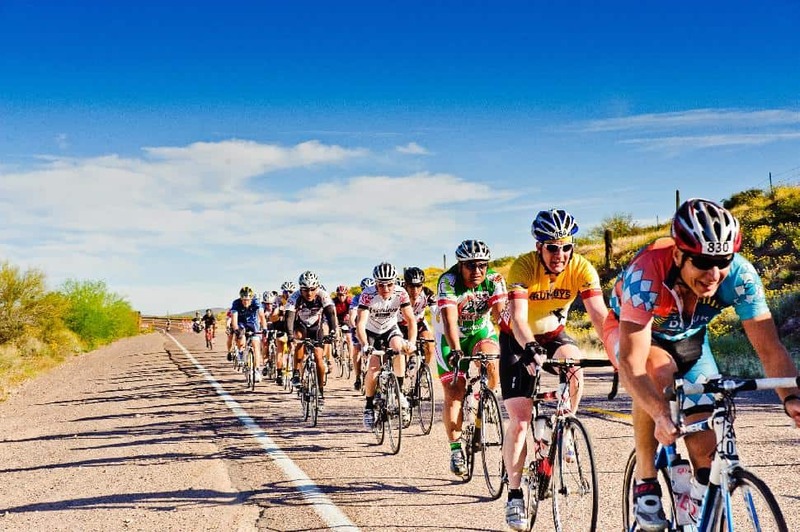 With rental shops and city-wide events like El Tour de Mesa, why not pedal your way through Mesa like a local? While Mesa is the home to several art museums and countless studios, the city itself can be considered a gallery. Strewn about the downtown district are 38 unique pieces of the city's public art sculpture collection. From the iconic big pink chair to the hauntingly realistic sculptures of people, the collection adds a whopping dose of personality to this desert city. It all says scavenger hunt to us! 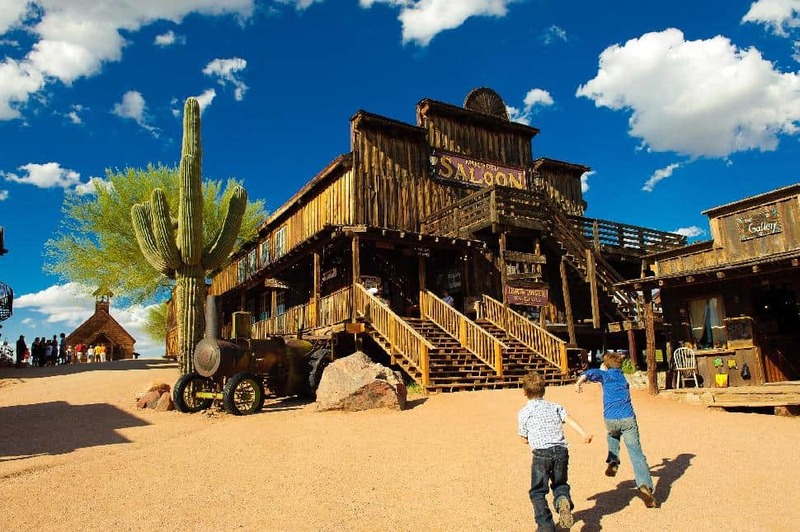 Once upon a time, Goldfield was a booming settlement, spurred by the discovery of gold in the Superstition Mountains. When the vein ran dry in the early 1900s, so did the town. Today, visitors gather just outside of Mesa to get stunning views of the mountains in the distance while exploring this living piece of the Old West. 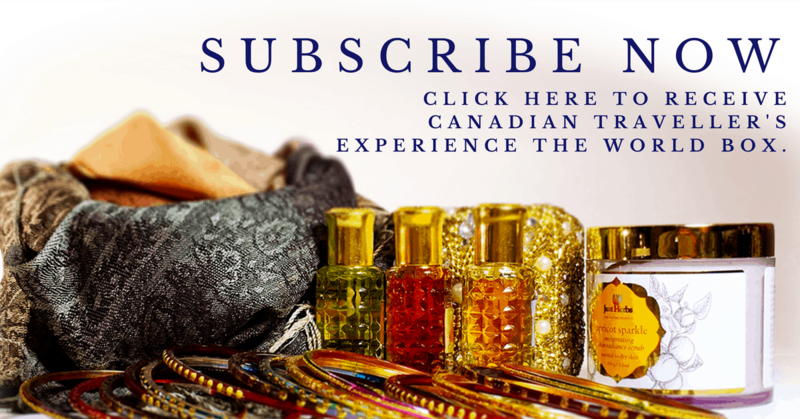 Take a walk down Main Street, explore the merchant shops and duck into the museum. Hop on the Superstition Narrow Gauge Railroad, saddle up for a trail ride or go underground for a 25 minute tour of the Goldfield Mine. We're told there's also a good chance of seeing a gun fight. This is a must see highlight for the kids, and those enamoured by Wild West cowboy lore. 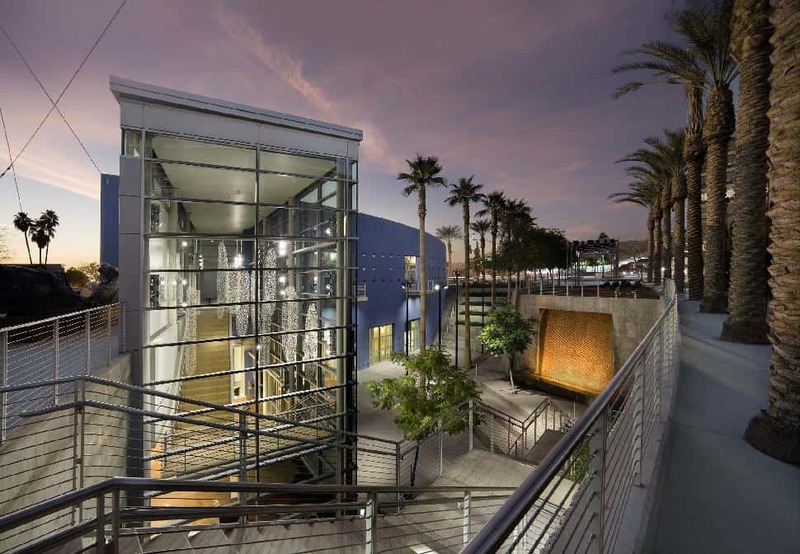 The Mesa Arts Centre is one of the largest entertainment complexes in the Southwest, and the architecture of the building itself is a visual showpiece for Mesa. This luminous beacon invites performing arts spectators for varied entertainment, from Broadway plays to classical symphonies to jazz performances. There's always something fresh on stage and surely a performance to suit everyone. The Desert Belle is the second of two boats that ply the lake waters surrounding Mesa. The vessel takes visitors on a 90-minute narrated cruise on Saguaro Lake. The scenic journey features unparalleled views of the lake's canyon walls and dramatic desert vistas that line the shores. Canadians, we have a passion for brunch and especially love observing this hybrid meal while travelling. What does brunch taste like in Mesa? Get your fill at the wildly popular T.C. Eggington's, famous for the sumptuous cinnamon bread French toast. Another must-sample highlight are the gooey cinnamon rolls, fried in mouthwatering custard batter. 16. Get on the course! Mesa is awash with golf courses, but the course at Superstition Springs Golf Club is perfect for a quick, challenging game. Designed by Greg H. Nash and Jeff Hardin, the course has been named one of the best in America by Golf Week. No small accomplishment! Golfers must best mounded fairways, water hazards on 11 holes, and expansive bunkers for a challenging par 72. The Superstition Mountains are the most incredible natural attraction in Mesa. We'd describe them as picture perfect. 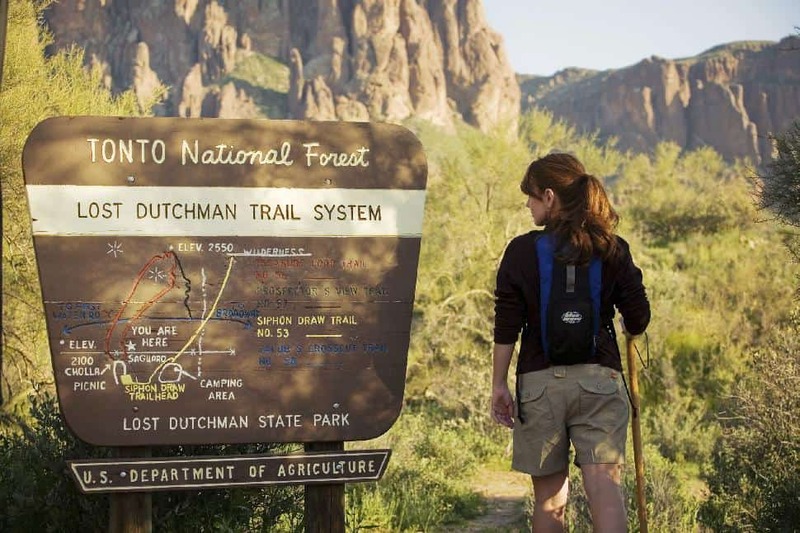 Covering a sprawling swatch of this wilderness is the alluring Lost Dutchman State Park. Named for a German prospector, or Deutschman, legend has it he struck it rich in a gold mine somewhere in the park. The exact location? A secret he took with him to the grave. To this day eager treasure hunters search the hills... but most just come to enjoy the park's hiking trails. 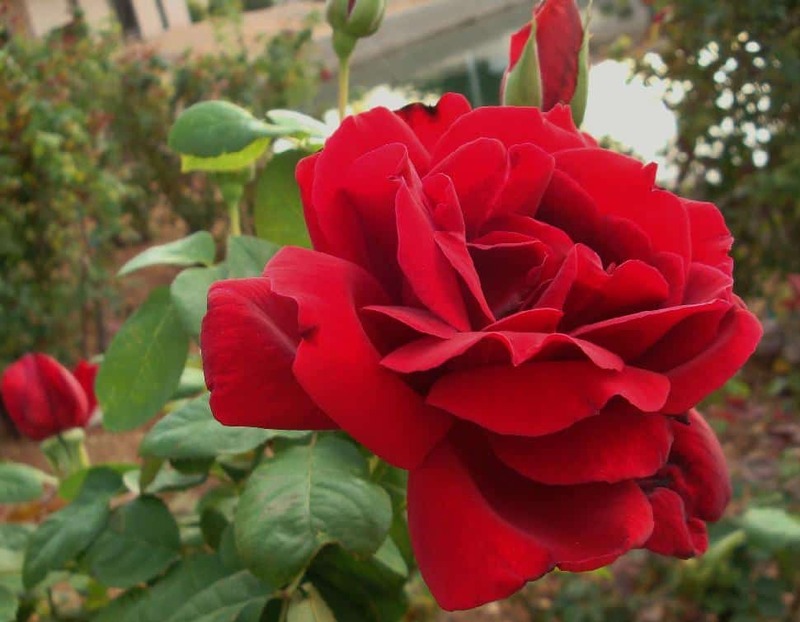 No need to go out searching for that special desert rose, the Mesa Community College contains 9,000 beautiful rose bushes within their fragrant rose garden. As a centerpiece for the community, this beautiful garden is a visual feast. Spend an evening splitting a gut at Jester’Z Improv Comedy. Generating laughter since 2001, the focus is on short-form improv comedy performances with an emphasis on scene work. Shows are held on Friday and Saturday evenings, at 7 p.m. and 9 p.m.
Agritopia is a unique neighbourhood nestled in nearby Gilbert. What makes it one of the United State's most remarkable districts? It's a modern urban community driven by 'preserving urban agriculture and integrating it into the most neighborly, well-designed community possible.' What will visitors find? 450 homes blended with commercial, agricultural and open spaces; ample social spaces and paths connecting it all. The people who live here chat with neighbours over low fences, congregate on porches and encourage sharing. Diversity, simplicity and reducing isolation are all threads of the village's fabric. Grab some coffee to go and have a wander through this unique place. The desert scenery around Mesa is beautiful up close, but visitors will never get the whole scope of its magnificence unless they take to the skies. 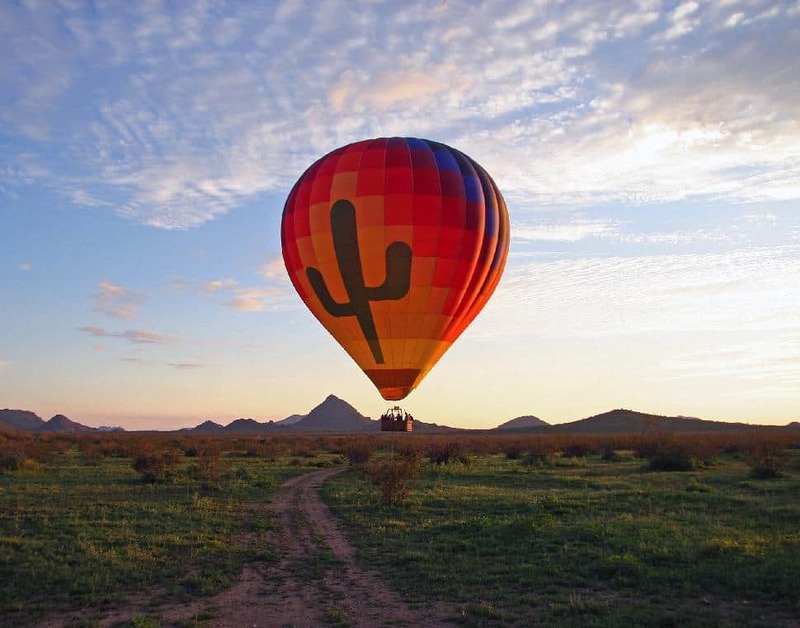 Hot air balloons rides over the landscape have always been a popular way to see the desert. Rainbow Ryders and Hot Air Expeditions are two of the most popular companies. Book directly or through most area hotels. There are hundreds of mysterious spots in the United States, but none so captivating and steeped in fable as the Superstition Mountains. With lore of gold, grisly murders, and missing persons, the area is nothing short of legendary. Learn all about it at the Superstition Mountain Museum, operated by the Superstition Mountain Historical Society. They have dedicated themselves to collecting the artifacts, history, and folklore about this mysterious mountain range. Magic and Vaudeville, it's old school fun. These forms of entertainment may be a relic of the past in our modern era, but not at the Carnival of Illusion. 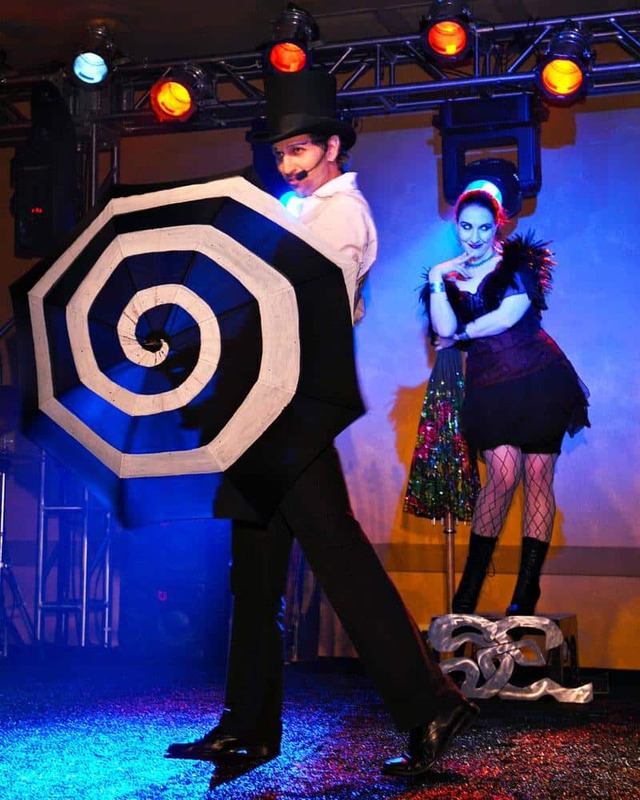 This nostalgic roadshow-themed theatre troupe puts on a mesmerizing show complete with Vaudeville flair. Anyone can watch a band play over dinner and drinks, but no live entertainment captures the magic and mystery quite like this. Visitors have seen a fraction of the desert until they've seen it at night. In the shifting light the landscape transforms completely. If you're unable to commit to an overnight hike or family camping trip, head for Usery Mountain Pass under a full moon. Here you can join other night hawks for an after dark guided tour of Goldmine Mountain. Mesa sits as the gateway to Tonto National Forest which holds not only the natural treasures of the surrounding area, but cultural gems that hint at the area's long history as well. The Hieroglyphic Trail in the Superstition Wilderness leads to a number of ancient rock paintings that date back thousands of years. At just over two kilometres, it's a trail that even the novice hiker can handle. The dusty trails of the Southwest are fine on foot, but they are best experienced on horseback. While Mesa is home to a number of equestrian outfitters, beginners and seasoned riders alike will find accessible riding at the Saguaro Lake Ranch. On guided trail rides riders edge along cactus-lined ridges and the Salt River, through the lower Sonoran Desert and pass by the Goldfield Mountains. 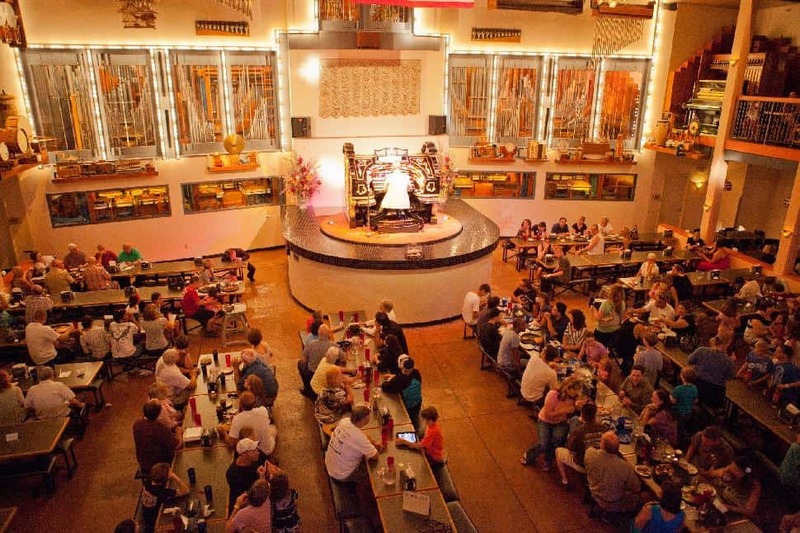 Organ Stop Pizza is one of the most unique eateries in Mesa. 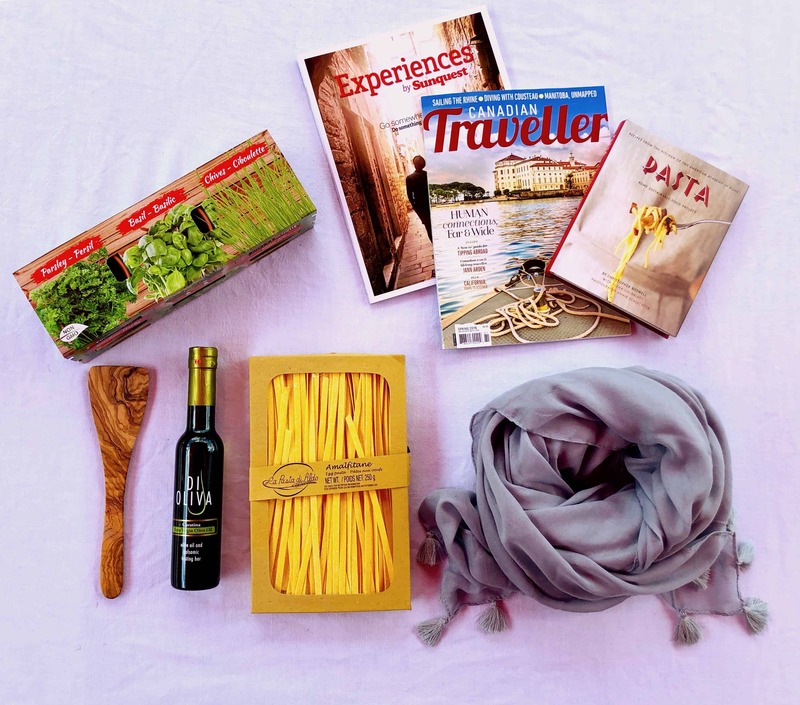 Sure, the flavourful pizza pies and pasta dishes are a good reason to visit. However, the Mighty Wurlitzer organ built in 1927 - with more than 5,500 pipes - presents a compelling reason to dine in. 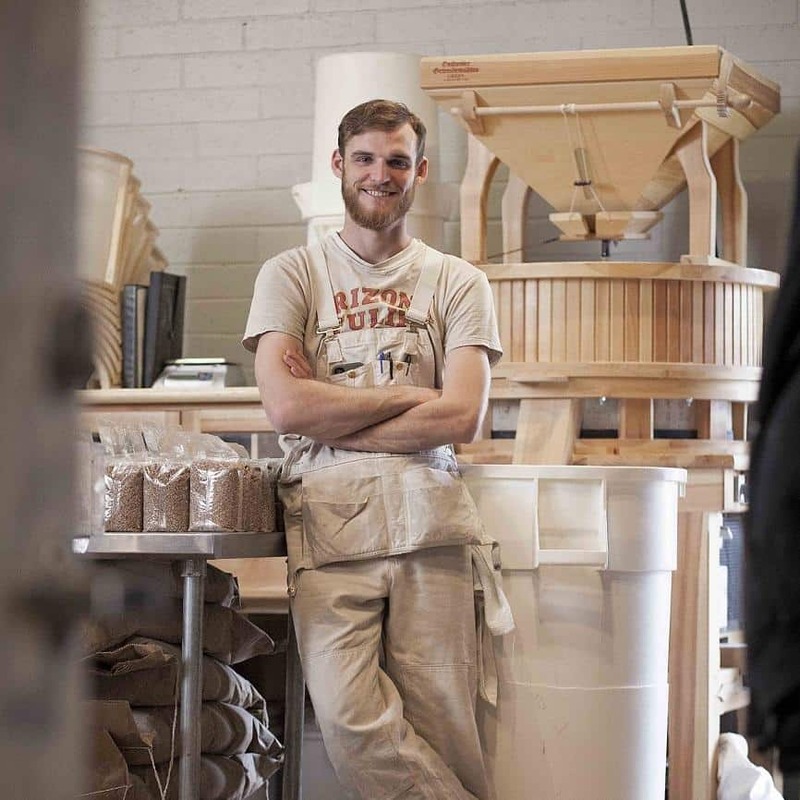 Hayden Flour Mills provides a piece of Arizona history visitors can actually taste. Sossaman Farms has operated this family-owned farm and mill for more than 100 years. 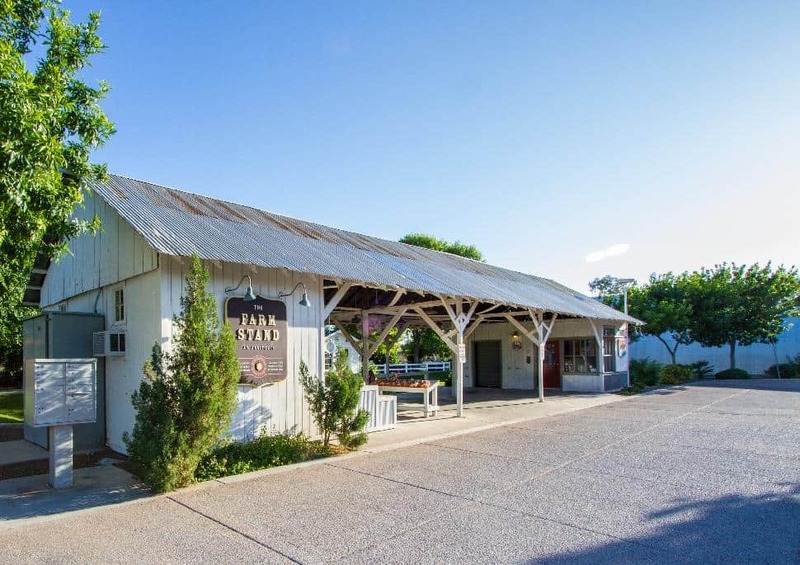 The mill invites visitors to learn about the process of turning grain into flour. With baking classes and other educational programs, no one leaves without learning a little more about bread and the flour that goes into it. Looking for an authentic local haunt? 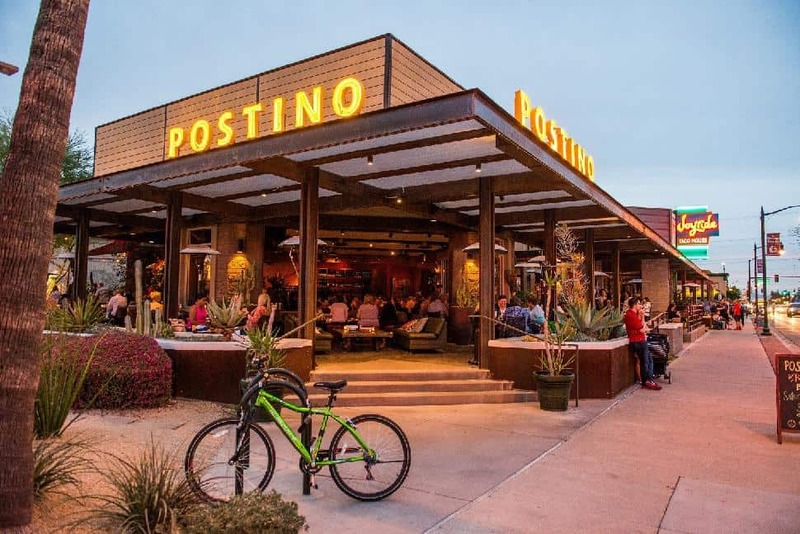 Step inside the transformed 1950s-era Arcadia Post Office to socialize at Postino. They've grown to four locations now, but Arcadia (Pheonix) is the flagship WineCafe, offering up a menu of approachable vintages. Take in the buzzing warmth of Postino's communal dining spaces or the romance of the candlelit patio. Admire the hand carved wood wine wall and those iconic garage doors. Go with friends and share social plates. And don't you skip dessert. Salted caramel sundae anyone? The Commemorative Air Force Aviation Museum is home to a growing collection of iconic aircraft. The hallmark piece? Its first donation in 1978 of a World War II era B-17G. Since then, the collection has expanded dramatically. Not only will visitors get a visual history of aviation, but the museum also hosts a sizeable collection of World War II artifacts as well. Arizona Brewery Tours takes all the work out of exploring Mesa's craft brewing scene. Groups cruise the town in the comfort of a 15-passenger bus as they tour locally owned and operated breweries. 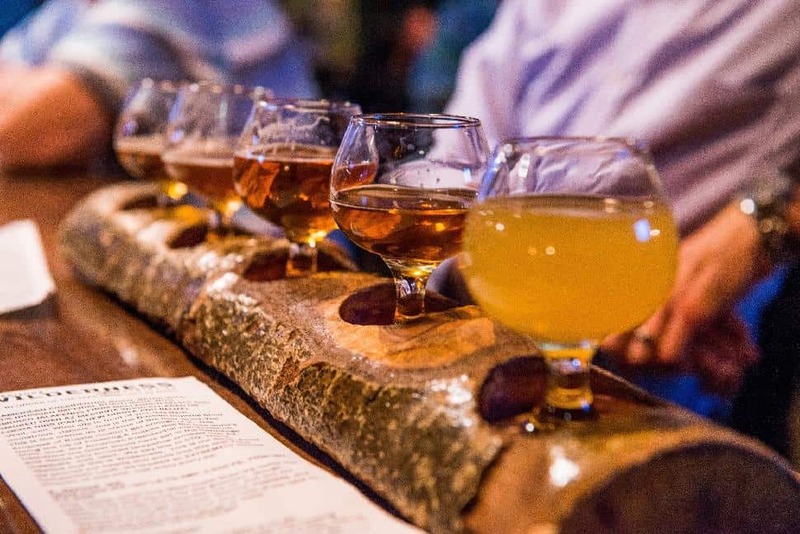 Tours are offered Friday through Sunday, as well as a special "barrel-aged" day on Wednesday. Cheers! As the state where Pluto was first discovered, visitors would be remiss if they missed out on a chance to get an unforgettable view of the night sky over Mesa. The Mesa Community College Planetarium is open to school and public groups, as well as on Astronomy Night. Held on the first Friday of the month, Astronomy Night features planetarium shows and telescope viewing. 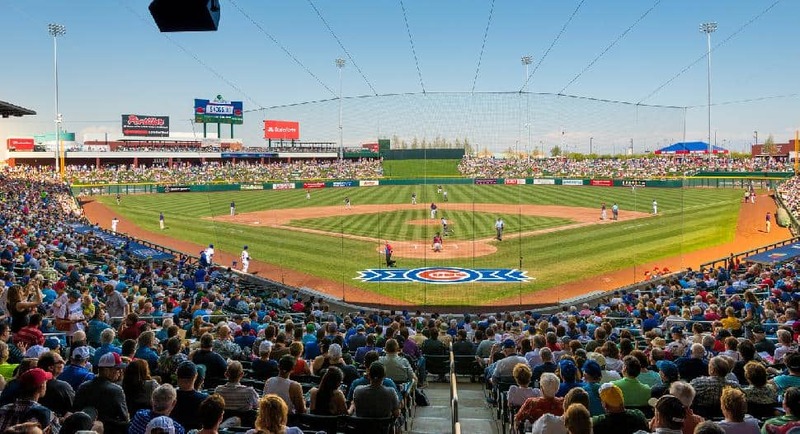 When spring training rolls around, Mesa is proud to host two teams: the Oakland A's at Hohokam Stadium and the Chicago Cubs at Sloan Park. Spring training and Arizona's Cactus League draw thousands of baseball fans to the city as more than 200 Major League Baseball games happen in just 30 short days. For visitors who are in the mood for a few social drinks and dancing, Cactus Moon Sports Grill is the place to kick up your heels. This huge dance floor fills up as the DJ spins the latest in rock and country hits. Its close proximity to Sloan Stadium sees that it fills up quickly during spring training; visitors should head there early. Marry culture and the outdoors at the 31-acre Park of the Canals. It's here where visitors can find evidence of an extensive system of canals used by ancient Hohokam Indians. They date as far back as 700 B.C. and are considered an impressive feat of engineering. Tour the area while admiring the desert botanical garden. 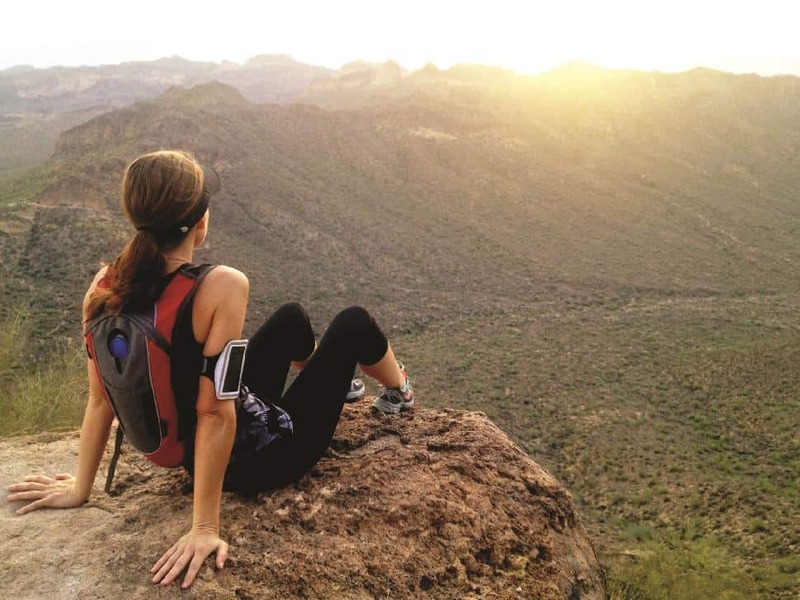 Avid outdoors enthusiasts won't want to miss any of the phenomenal trails surrounding Mesa. Those short on time but high in energy may want to endeavour on the 22-kilometre Outer Loop Trail. It combines all the well-known trails in San Tan Mountain Regional Park to explore a varied landscape. With mountains, petroglyphs, and rich desert vegetation, this hike flaunts everything that makes the Sonoran Desert special. The Elvis Memorial Chapel is a part of the Superstition Mountain Museum, and is a museum in itself. Contained within the walls are movie memorabilia and memories of shows filmed at Apacheland. Apacheland was a large scale movie set where western motion pictures and television shows were filmed for some 45 years. With a background that included the Superstition Mountains the set welcomed talent the likes of the King of Rock and Roll himself. 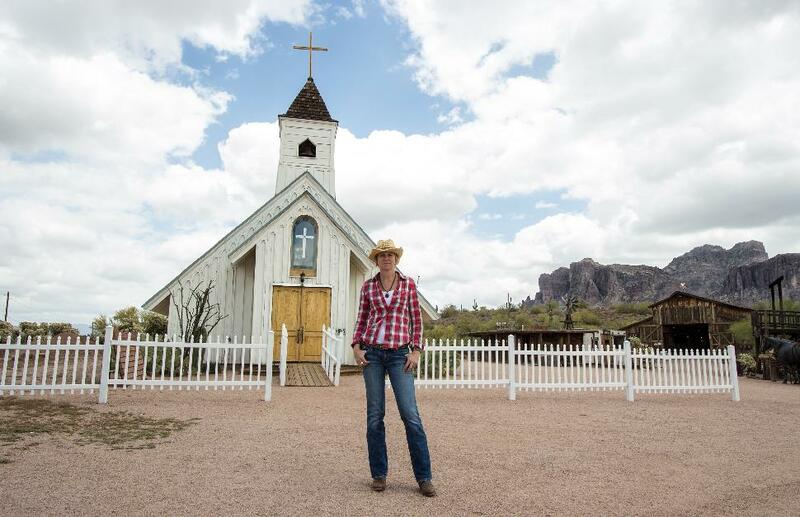 The original Elvis Memorial Chapel was deconstructed, donated to Superstition Mountain Museum, and painstakingly reassembled in the location it now rests upon. If you watch any of the following, keep your eyes peeled for the iconic white chapel: Charro, The Ballad of Cable Hogue, Arizona Raiders, The Haunted, The Gambler II and Blind Justice (films), and Have Gun Will Travel, and Wanted Dead or Alive (shows). What is a visit to Arizona without a little taste of the American Southwest? While Mango's Mexican Cafe features fresh made salsa and tortilla chips, the real attraction is its location. Set right on Mesa's Main Street, Mango's is one of the best places in town to lunch and do a little people watching. The i.d.e.a. Museum may be a children's museum, but it is definitely not just for the kids. The hands-on activities and exhibits seek to inspire creativity and innovation, something that visitors of all ages will appreciate. Tots will love ArtVille, a socks-only space for kids to build with oversize plush blocks. The Tech Table provokes digital interaction and The Hub has 11 different interactive areas for learning. Are you a problem solver? Do you love the challenge of puzzles and riddles? An escape room is fun the world over, and you can find them at Mesa's Escape Adventures. Suitable for couples or small groups, take the challenge of breaking out of a locked theme room. Your escape depends on whether you can solve a series of codes, puzzles and cryptic clues before the clock runs out. 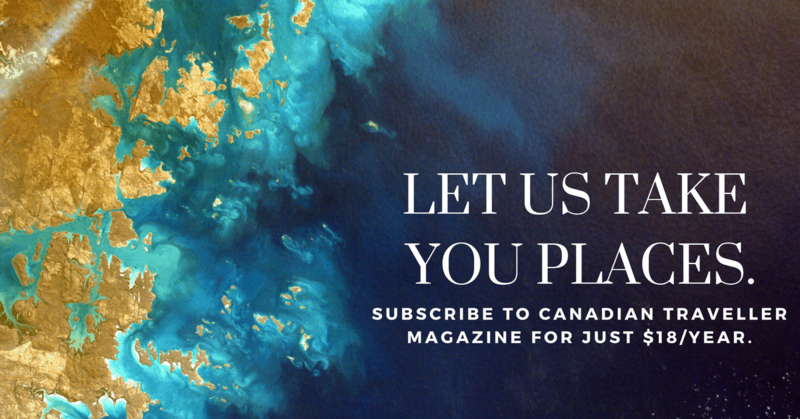 Canadian Travellers in the United States may notice a unique culture of gambling: Native American gaming. Have you ever wondered why a number of reservations operate their own casinos? In America the reservations have sovereign tribal rights, meaning federal bodies have little authority over gaming activities. Many of these casinos are stunning properties, beautifully designed, decorated with indigenous artwork and serving up gourmet dining. Visitors in Mesa can test their poker face one such glamorous property: Fort McDowell Casino. Try your luck at slots, blackjack, and a number of Vegas-style card games in a vibrant and exciting atmosphere. The Phoenix-Mesa Gateway Airport isn't just a hub for transportation you know. Home to the Fighter Combat International program, it's a destination for thrill seekers. This program teaches visitors to fly like fighter pilots, complete with air-combat maneuvers. No flight experience is necessary; visitors need only buckle in and listen to the instruction of experienced pilots. 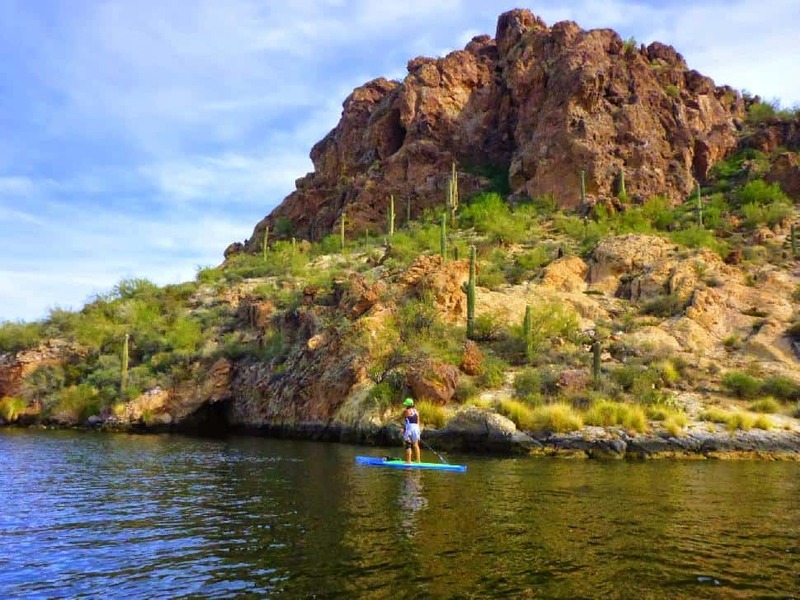 Paddle boarding is only just gaining popularity in Arizona, and while the desert may not be overflowing with bodies of water, the Salt River has always been a popular playground. Beloved activities tubing and kayaking are a perennial favourite, but those after some SUP'ing should make for the No Snow Paddle Board Shop. Follow their lead as they bring you down the river for a scenic tour. Home to Sloan Park, the spring training facility of the Chicago Cubs, Riverview Park is actually one of the more peaceful spots in Mesa. With a well-stocked urban fishing lake, visitors can enjoy some light fishing or people watching. However, the star of the show is for the kids. 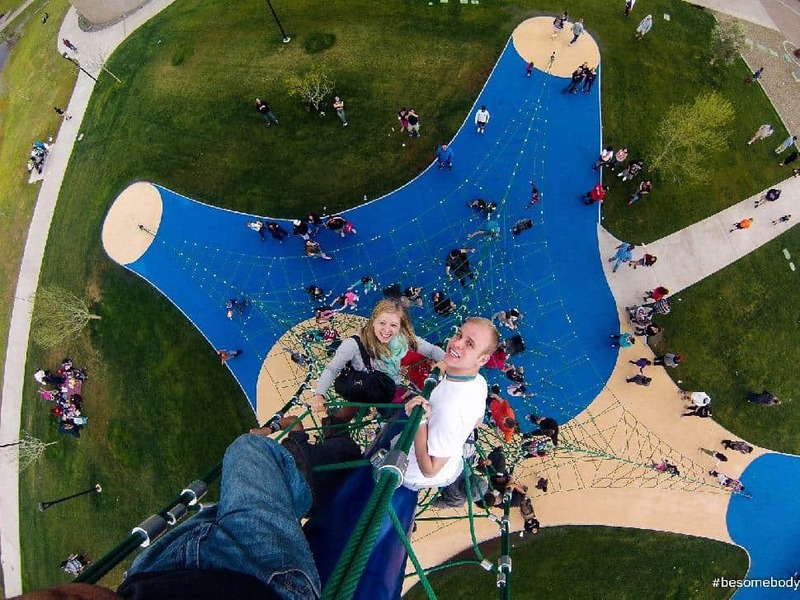 With a small "spray" ground for those hot days and a huge playground featuring two stunning climbing structures, this is one spot the kids will remember forever. Although enthusiasts will find a fair share of sport on Mesa's many public and private courses, TopGolf offers an experience like no other. In this state-of-the-art facility, even non-golfers will find some joy in swatting balls embedded with microchips that track the distance and accuracy of the ball. As a major city for cyclists, it should be no surprise that the wilderness surrounding Mesa has a number of mountain biking trails. 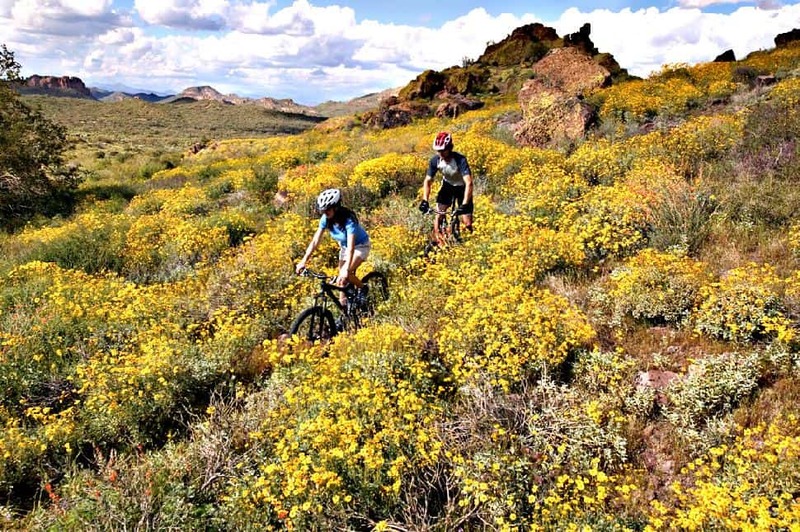 While most trails around Mesa are multi-use, the Hawes Trail Network takes cyclists out into the Sonoran Desert on trails resplendent with sand-spraying sharp turns, a variety of cacti, and choice views of Red Mountain. Visitors to Mesa are treated with the chance to visit one of the most renowned museums in Arizona. Famed for its "Dinosaur Mountain" exhibit, the largest dinosaur exhibition west of the Mississippi River, visitors can see pre-history come to life through their extensive collection of life-sized, animated dinosaurs. 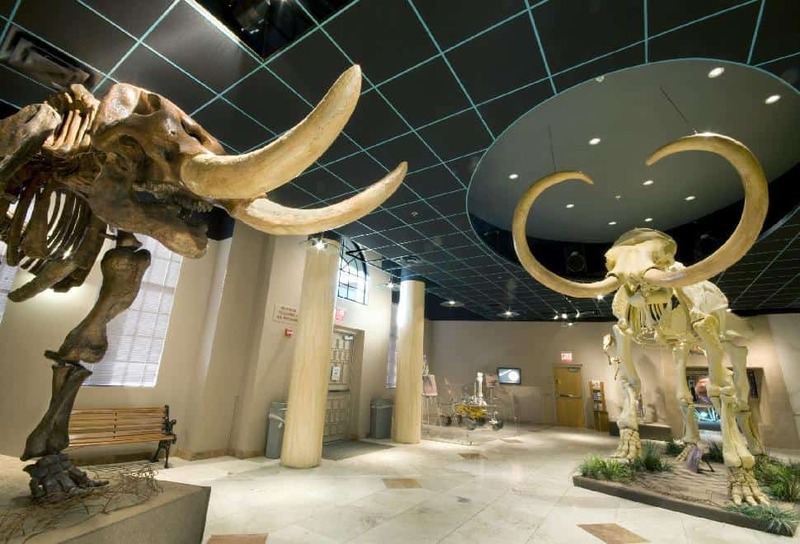 As well as hosting re-created micro environments, the Arizona Museum of Natural History features a number of rotating exhibits that make for a new adventure every few months. The deserts of Arizona are among one of the least likely places one would expect to find Cajun food, right? At Baby Kay's they have brought a quintessential taste of New Orleans to Mesa...and they've done it well. With a bowl of rich gumbo backed by deep red walls and vintage furniture, dinners will be instantly transported to the bayou. A combination of the last 49 activities will leave any visitor in need of some relaxation. With countless museums to tours and hundreds of kilometres begging to be hiked, taut muscles need to be stretched. Leave that to Floating Lotus. Floating Lotus offers rejuvenation in the form of massage, acupuncture and yoga. Ready to plan your trip to Mesa?